Sicoya’s unique disruptive innovations in silicon photonics will have a tremendous impact on the market for data center interconnects by means of cost efficiency, low power consumption, and scalability towards high production volumes. Sicoya and its fabrication partner are having a successful and close cooperation since 2007. The technology platform is fabricating the cointegrated transceiver chips using a so-called SiGe-BiCMOS process enabling Sicoya to realize the integrated designs with both the analog electronics and the optics on the same silicon chip with lithographic precision. This leads to a drastic reduction of the amount of assembly steps for the packaging. The packaging costs amount to about 80% for the total transceiver (Yole Développement report 2015), which allows for significant cost degression effects using Sicoya’s technology. Furthermore, wafer level processing in a mature CMOS process guarantees a much higher yield compared to proprietary in-house technologies. Sicoya has developed a complete set of optical functions required by silicon photonics products. The tiny footprint of these components, especially the electro-optic modulator, and their low optical losses allow for an efficient usage of the radiation from the laser source. As part of the electronic photonic cointegration, electronic circuits with markedly reduced power consumption, like modulator drivers, can be integrated. This improvement is made possible by extremely short signal path lengths for the RF signals and the avoidance of high capacitances. The system comprising driver together with modulator and photo detector with trans-impedance amplifier can thus be treated as a lumped element without the necessity to consider transmission lines. All these factors increase the power efficiency which also benefits the available bandwidth per front plate in the server rack. In mass volume chip production, the chip real estate is the dominating cost factor. 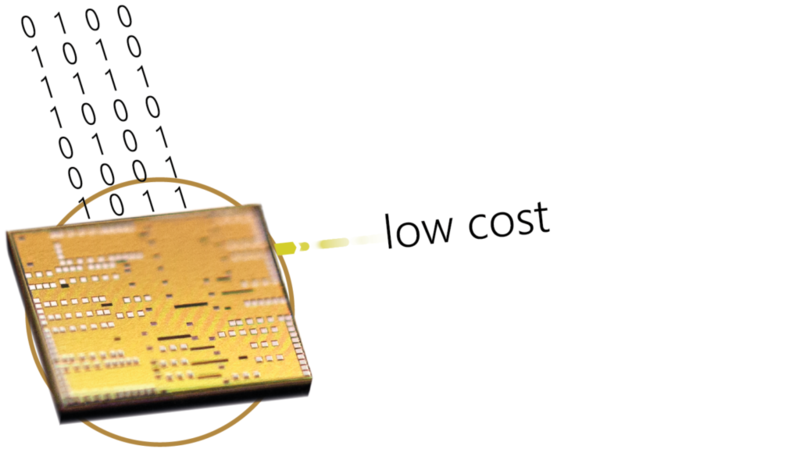 Cointegration solutions are only becoming commercially viable when photonic components with drastically reduced footprint compared to the electronic building blocks are available. 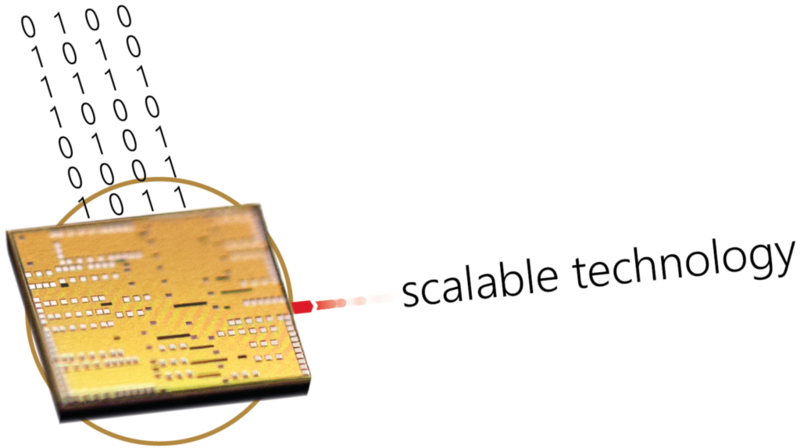 Silicon photonics enables circuit designs with extremely high integration density and complexity due to extremely small waveguide cross-sections (450×220 nm2). Therein, the core component of such a transceiver design is the modulator, transforming electric data signals into light modulation. 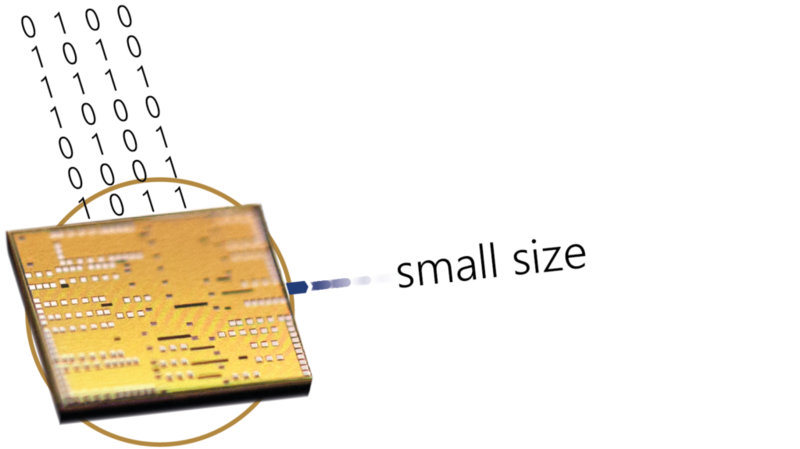 Sicoya’s core technology encompasses the worldwide smallest silicon modulator with a footprint tiny enough to process 10,000 of it on a square millimeter. 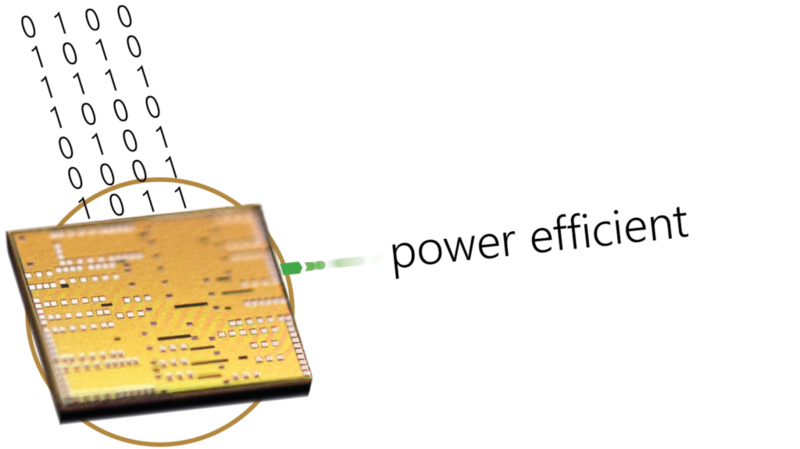 This reduction in size directly translates into higher energy efficiency regarding the control electronics and the usage of the light from the laser source, resulting in superior performance in power consumption, reliability and signal integrity. The only viable way to overcome assembly costs directly scaling with the number of data channels lies in on-chip integration. 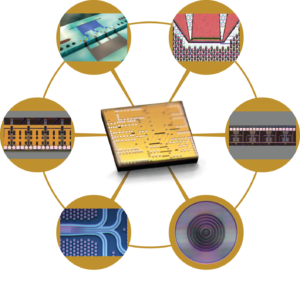 Sicoya utilizes a SiGe-BiCMOS process technology that allows for the cointegration of ultra-fast electro-optical modulators and photo detectors side-to-side with electronics for drivers, amplifiers and digital blocks on a single chip within a low cost transceiver with outstanding performance. Cointegration yields several key advantages. The electrical power can be significantly decreased by means of impedance matching, avoiding transmission lines, and reduced parasitics. Improved signal quality and higher sensitivity lead to larger optical link budgets for the complete link which in turn enable more complex network topologies in the data center. The entire process chain is set up for wafer scale testing in order to avoid unnecessary assembly steps.